Yannick Kiggen is already 10 years active in the great passion Bonsai. In those many years he followed courses and workshops with several great Bonsai Masters: Kunio Kobayashi, Takeo Kawabe, Hotsumi Terakawa, among other masters. He also exhibited his trees at many bonsai shows like the Noelanders Trophy and the Ginkgo Award. 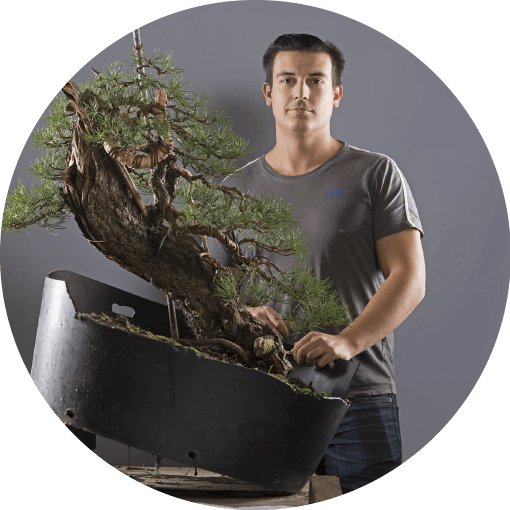 In 2011 he started with his Yama Bonsai Studio to promote and share his knowledge of Bonsai to beginners and more experienced Bonsai lovers. Andrea Melloni is based in Berlin, Germany. He’s been practicing bonsai art since 1989. At age of 17 he started his apprentice in a well-known Italian bonsai nursery, where he worked from 1992 to 1996, carrying on his education. Bonsai education progressed parallel to visual arts graduate studies. In 2002, after post graduate fine art Studies at Wimbledon School of Arts he moved to Germany where he successively entered the National Teacher’s Registry. Since 2006 he’s been running his own bonsai nursery, where an intense didactical activity is carried on constantly, at national and international level. 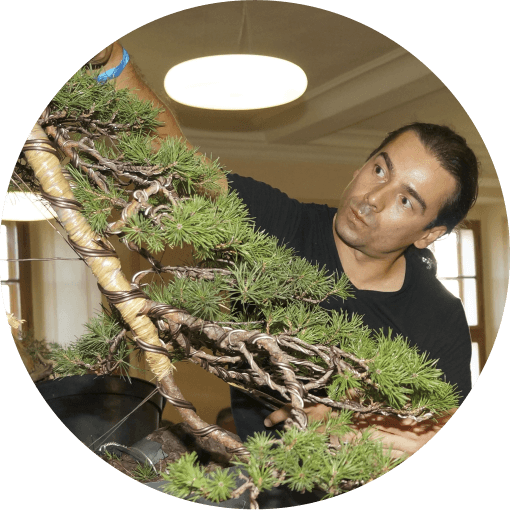 Since 2007 he’s a teacher and Art Director for German detachment for Progetto Futuro Bonsai School, one of the main European bonsai schools. He’s been participating as demonstrator and exhibitor to most of the European main events. Pitel Valeriy is a Russian master and he is doing bonsai since 2001. Since 2004 he began to assemble a collection of bonsai. Since 2006 became to drive from Japan. In parallel he studied this art. 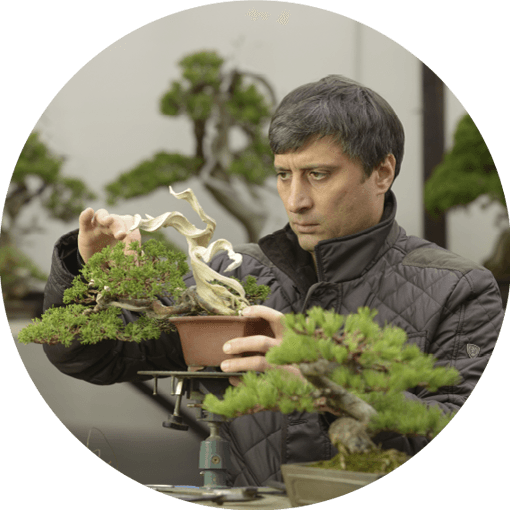 With the aim of promoting the art of bonsai in Russia and also after the request of the Botanical garden of Moscow State University in 2015, he has organized an exhibition of the collection of bonsai, which was held for 3 months. During the exhibition it was visited by more than 40,000 people. At the moment he continues to visit Japan, to communicate with many masters of bonsai (Tomohiro Masumi, Hiromatsu Koji, Yoshinobu Tabata, Kouji Matusue, Seiya Kiyama and many others), as well as improving technique on the formation. Reservations: Tel. 977 471 019 o expo@mistralbonsai.com Limited space. We reserve the right of admittance. Free parking. The organizers reserve the right to modify the program and the demonstrators without previous warning if justified. In our Flickr, you can see photos of previous editions of the open days at Mistral Bonsai.